DJ Monalisa Murray is an O.G. on the L.A. scene, having made the transition from working in marketing and promotion for record labels to working for herself as one of the Southland's premier selectors, down with everyone from Umoja Hi-Fi Soundsystem, to Footlong Development, to the KPL All-Stars. For her album choice, she wanted to spin us back to the emergence of D'Angelo and his debut album, Brown Sugar. We talked about how D'Angelo struck a different note than R&B in that era, how his style played to and against hip-hop, and just what exactly "brown sugar" refers to. Spicy. 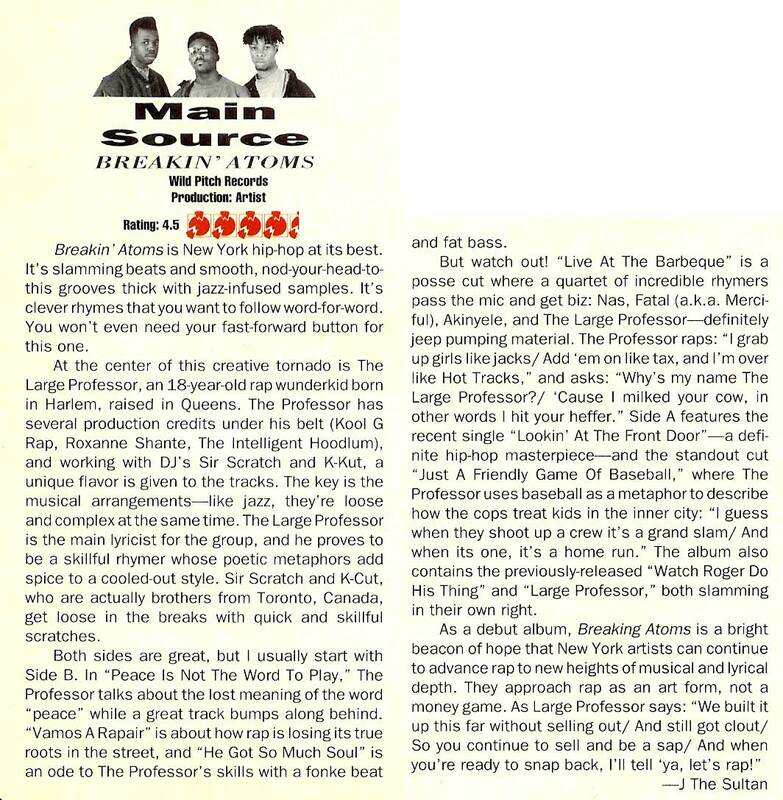 Cheo Coker's original 1995 review of the LP for Rolling Stone. Dan Buyanovsky's oral history of D'Angelo for Noisey. Her "Paths of Rhythm" show on Dublab. Live Taping of Heat Rocks as part of The Voyager Institute - FREE! Heat Rocks will be doing a live show as part of The Voyager Institute: a lecture series on movies and music. FREE-ADMISSION, RSVP here. A live taping of Heat Rocks on the topic of Michael Jackson's HIStory, featuring special guest Justin Simien of "Dear White People. The Search For "The Weirdest Band In The World" (presented by Andy Hermann and Rico Gagliano). Ishmael Butler aka Butterfly of Digable Planets aka one-half of Shabazz Palaces joined us to take us on a trip back to the blaxploitation era and one of the greatest soundtracks-in-search-of-a-movie: Hustlers Convention, the spoken word/funk album by Jalal Nuriddin of The Last Poets. Backed up musicians that included Kool and the Gang, Eric Gale and others, Hustlers Convention took listeners on a trip into the world of pimps, players, police and other street characters in a vivid, cinematic story that would go onto inspire rappers the world over. Documentary about the album and other street poets of the early '70s. Red Bull Music Academy's feature on the album. Oliver's profile of Shabazz Palaces for Bandcamp. Tim Larew's interview with Butler for Pigeons and Planes. When we approached Bardo Martinez of Chicano Batman, we figured he'd go with a left-field album choice and he did not disappoint. Headless Heroes of the Apocalypse was a cult LPs for years, one of the most overtly political albums of the entire '70s (least of all on Atlantic Records!) and might have been wholly forgotten if not for '90s hip-hop producers rediscovering it and using it as sample fodder. However, all groovy groove aside, Headless Heroes is also an astonishing album in regards to McDaniels' explicit politics regarding everything from the U.S. treatment of Native Americans to blue eyed minstrels to Watergate. It was supposedly blacklisted by no less than the Vice President of the U.S. (Spiro Agnew). As Chicano Batman are no strangers to merging message and music, it was the perfect LP for Bardo and us to dig into, least of all in this current political moment. Frannie Kelley, alongside Ali Shaheed Muhammed, hosts the Microphone Check podcast and when we invited her onto our show, she wanted to talk about one of her formative musical experiences as a teenager: TLC's sophomore album, CrazySexyCool. The three of us talked about how TLC shaped adolescent ideas about sexuality and femininity, how the group repped the hip-hop South at a time when that was just becoming to be recognized nationally, and how the group had one of the more underrated liner notes font game going on. Kenneth Partridge's track-by-track review for Billboard. VH1's interviews with stars reflecting on the album's 20th anniversary. Vernon Reid is one of rock's greatest guitarists, having rising to stardom in the 1980s as a member of Living Colour. It's not surprising, therefore, that he'd choose an album by one of rock's other great guitarists: Jimi Hendrix and his final album, Band of Gypsys, recorded live at the Fillmore East and released in the spring of 1970. Reid gave us an amazing lesson into what exactly made Hendrix so brilliant, least of all on this album. AVClub's Corbin Reiff on the album and its contractual history. Gary Von Tersch's original 1970 review of the album for Rolling Stone. Original New York Times review of the live concerts at the Fillmore East. Interview with Jambase from last fall. Living Colour performing "Power of Soul" live. We invited Philly hip-hop star Bahamadia to join us and she kept things tri-state by picking the 1974 debut album by New Jersey's The Kay-Gee's, originally an off-shoot of Kool and the Gang. The Kay-Gee's may not be household names in the same manner as Kool and the Gang or the Ohio Players but especially on this debut, they cooked up an impressively diverse and surprisingly eclectic set of tracks that defy simple expectation. What other band ends their album with their own "greatest hits montage"? John Bush's review for AllMusic.com. The Kay-Gee's page on All Things Deep. Her EP, Dialed Up 2 from last fall. Interview with Bahamadia on Weekly Rap Gods.